A fear of needles is preventing many travellers from getting the vaccinations required for trips abroad, according to a travel agent poll. 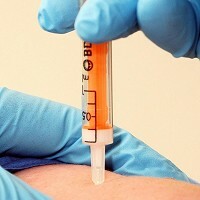 Research by www.sunshine.co.uk found that 43% of those surveyed had refused to have the necessary injections before going abroad. Of the 1,800 people questioned who had travelled in the last three years to places requiring a jab, 36% said it was a fear of needles that put them off. It is advised that all travellers to destinations that carry the threat of infection should get their full set of vaccinations. Medical travel insurance is also recommended in case holidaymakers comes into contact with a disease not covered by the injections. Around 29% of those surveyed said it was cost that prevented them from receiving the full course of treatment, while almost one in five (19%) believed they did not need them, and one in 10 (11%) forgot. Chris Brown, co-founder of sunshine.co.uk, said: "With the most popular holidays being taken in places closer to home, like in Spain or Greece, it's not always the first thought for people going abroad that they might need an injection. "I think holidaymakers would be surprised at the list of destinations that you are recommended to get vaccinations for when visiting, but I think one of the reasons some choose to ignore this is that they aren't vital. "The fact that people didn't have their recommended injections due to fear of needles or lack of funds was a real shock."